Breakbulk Middle East, the GCC’s leading breakbulk and project cargo sector event, has officially opened today (February 11) in Dubai, UAE. 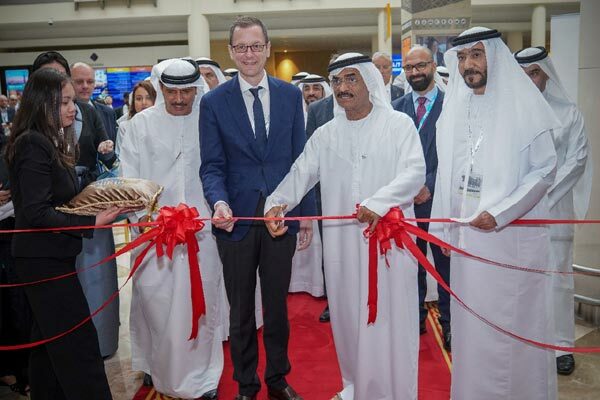 The opening day saw representation of over 74 countries, in addition to the participation of more than 2900 attendees consisting of nearly 96 exhibitors and in excess of 800 major corporations, said a satement from the organisers. The fourth annual edition is taking place under the patronage and attendance of Dr Abdullah Belhaif Al Nuaimi, the UAE Minister of Infrastructure Development and the chairman of Federal Transport Authority for Land and Maritime who also delivered a Ministerial Welcome. Thus far, the first day of the two-day exhibition being held at the Dubai World Trade Centre, in Dubai, UAE, has proved to be a huge success. “The first day of this exhibition has already formulated captivating discussions and showcased strong leadership, both major factors which will surely assist in increasing the country’s global maritime stock, and enhance the jobs encompassed by its thorough shipping landscape,” he said. “Both the location, and the time, of this year’s event are optimal and we remain vigilant and boast confidence that the presence of event will largely contribute to our showcasing our commitment,” he added. “The influence of this event is visibly apparent, as it has done a tremendous job of uniting and structuring communication lines between the top five industrial sectors spanning metal, energy, manufacturing, oil and gas, and shipping, which are all essential to the region’s economic prosperity,” she said. “Additionally, we understand the event’s growing reputation and significance of its ability to promote interactive discussion among international leaders and key players within the global breakbulk and cargo industry,” he added. “Likewise, it’s undeniable that events such as Breakbulk Middle East 2019 have greatly contributed to the success of our country. This year’s turnout has painted an accurate portrayal of the UAE’s pioneering efforts, which have successfully positioned Dubai as a competitive environment synonymous with stimulating trade, business and investment. Witnessing the attendance of over 2000 individuals and international representation of over 55 countries only solidifies Breakbulk’s credibility as a platform that unites necessary industry powers and aids in raising awareness of Dubai’s global recognition as an elite international maritime hub,” Buamim added. “The diversity of those in attendance today is an attribute which will play in favour of the UAE as the first day of this year’s exhibition has clearly produced a climate, which opens opportunities for communication and knowledge while simultaneously increasing the ability to make deals and enhance business development,” he added.